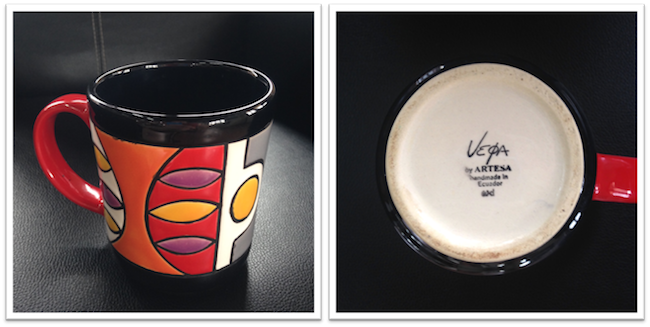 WIN one of Eduardo Vega’s exclusive ceramic items! Stand a chance in our Facebook Contest to win a hamper of traditional Ecuadorian products, consisting of an original Eduardo Vega coffee mug (which is perfect to have your Ecuadorian coffee in), locally produced fresh from source Ecuadorian Coffee, a hand-woven Panama hat, some true Ecuadorian chocolate and many more items. Eduardo Vega is a renowned ceramic designer with products ranging from murals, plates, mugs and decorative items for your home. His work is highly renowned and shows off the vibrant decorative colors of Ecuador. The contest ends on April 30th at 17h00 (EST), so make sure you get your entry in before then. It’s very simple to enter, follow the link, answer a few questions about yourself and hit submit!